No one can deny the sense of serenity that comes from a nicely landscaped yard, let alone one enriched with the beauty of a pond. Ponds have always been trendy, and they’re a trend that’s here to stay. Welcoming a pond into your outdoor area is sure to make way for a lively ecosystem of your own, since the minute you build it, you can expect to be paid a visit by a number of visitors in the likes of birds, snails, turtles, frogs, butterflies and what not. You can bet this would easily turn into a stress-free zone you’d love to spend time at daily. 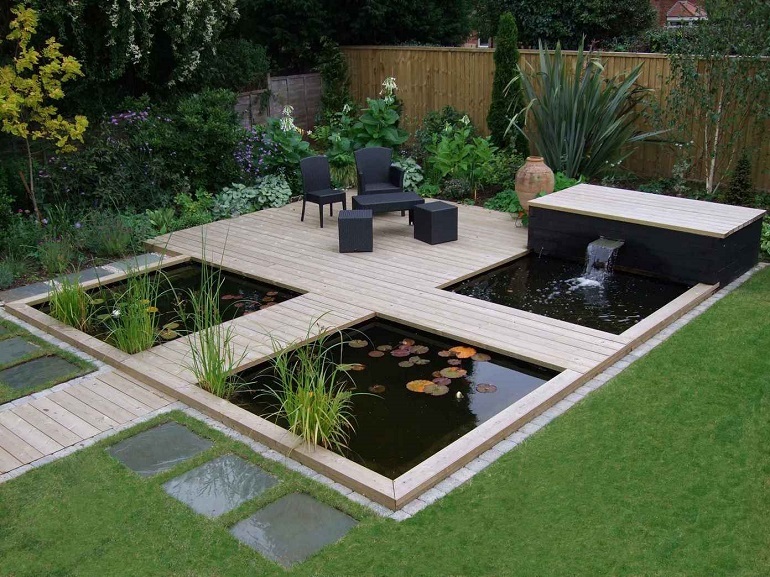 A pond can become the focal point of your yard, where you can gather around with loved ones, enjoying the calmness and be at one with nature; more so if you fill it up with plants and fish. However, same as you’d be expected to do some chores to keep your yard all tidied up, you’d have to take care of the pond. Though pond plants and most fish don’t require any particular care, the pond itself requires the ideal pump to keep the water clean, filtered with enough oxygen, to prevent the appearance of algae. When there are fish in the pond, there’s the need for a continuously operating pump, this could mean you can expect your electricity bills to increase, but not when you opt for pond pumps for sale that are solar powered. Having a solar powered pump means not requiring other power supplies, cutting down on electricity costs, and easy installation – simply putting the solar panel under enough sunlight and the pump at the bottom of the pond. This is the sort of pump powerful to do continuous work, gathering up enough energy, and storing it for further use, even when there’s no direct sunlight. To further enhance the cleaning, and prevent fish waste from piling up, along with choosing from the wide range of pond pumps for sale, you can build up a filtration system. Same as you would clean out the aquarium, you have to do so with the pond, so the more you carry out the pond chores, the easier they become and turn into a habit. Be sure to do a bit of cleaning when it comes to the filter, and to ensure no algae appear, you can count on the help of submerged plants like parrot’s feather and hornwort, as well as barley straw. Feeding fish properly is part of the pond chores, so be careful overfeeding them, and do your homework in looking for the adequate food to feed different fish species with. High quality fish food ensures proper feeding which then results in less fish waste, less algae, and bacteria.